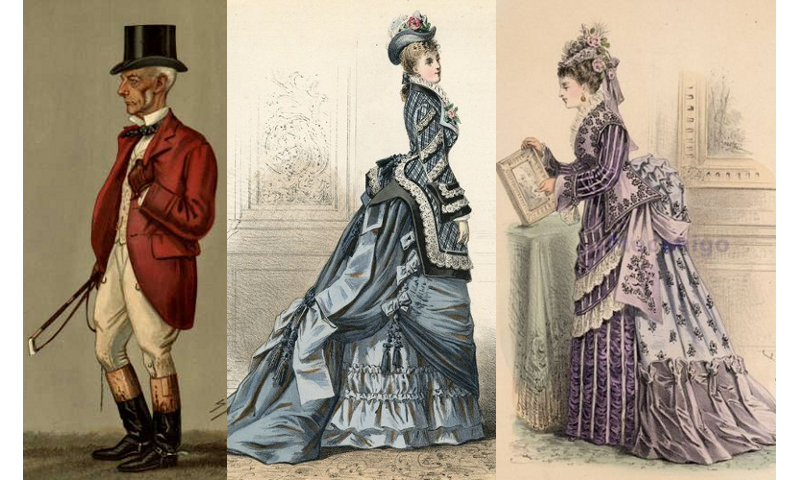 Please refer to the previous article, Victorian Fashion Terms; A ~ M, for an introduction. Nonchalantes were the first elasticized corsets, marketed around 1850 as travelling corsets. Rubber had been used in clothing for about twenty years, and started to be less smelly and more durable. However, these early elasticized garments weren’t popular, perhaps due to cost, resistance to change, or the lingering rubber odour and poor breathable qualities? 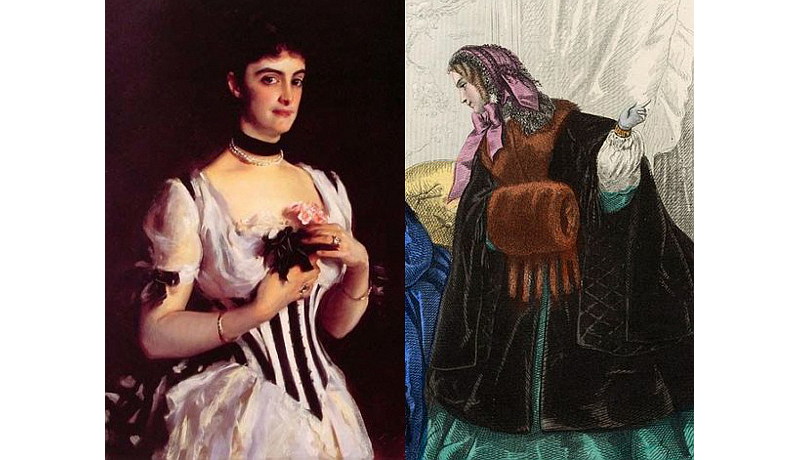 “The travelling corset, called the nonchalante, is an article every way worthy of the name. From its extreme elasticity and clever combination it yields to every motion of the body, and supports it without the least compression or inconvenience.” Harper’s New Monthly Magazine, New York, 1852. Norfolk jackets with matching knickerbockers, 1898. A lady in a flounced skirt with similar pagoda sleeves and lace engageantes, 1858. Norfolk jackets are accredited to the 14th Duke of Norfolk, Henry Fitzalan-Howard (1815-60). The story has the duke in the late 1850s requesting a single-breasted belted jacket, with ample room in the shoulders for ease of movement, made of heavy wool for outdoor sport (shooting, fishing, mountaineering, &c.). The belt allowed some level of adjustment and neat fit, depending on the layers underneath. Early examples of Norfolks are quite plain, sometimes collarless, and usually include a matching pair of baggy knickerbockers. By the 1870s these hunting outfits were very popular, usually made of tweed, and the style exists today for classic outdoor suits. “…a patrol-jacket like that of the Foot Chasseurs, or similar to what English sportsmen know as the Norfolk jacket, and loose trousers available at option as knickerbockers, like those of some of the Metropolitan Volunteers, will prove most conducive to the comfort, efficiency, and even the appearance of the rifleman of the future.” The Rifle; Its Theory and Practice, by Arthur Walker, 79th Highlanders, London, 1865. Pagoda sleeves were small at the armhole and wide at the elbows (short sleeves) or wrists (long sleeves), often with several flounces decorated with tassels or other trim, and therefore looking like the pagoda roofs of the Far East. This style of sleeve became popular in the late 1840s and lasted through to the 19th century in various sizes, sometimes considered old fashioned, sometimes in voque. The tops were so narrow in the 1840s and early 1850s that they were sometimes crafted as separate pieces and tied to the bodice. With the bulky openings engageantes were worn. 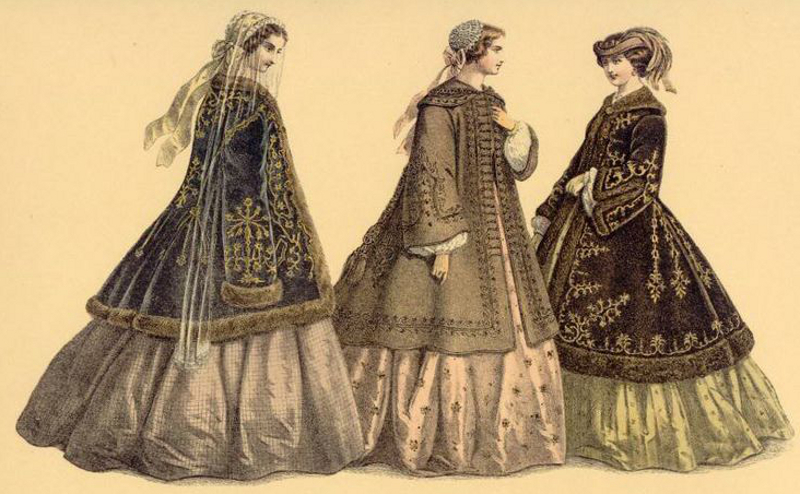 It could be argued that sleeves of this style without flounces were specifically called bell sleeves, but the terms seem interchangeable when reviewing Victorian articles. “The pagoda sleeves, copied from the Chinese, being wide and open, cause the hands to appear smaller by contrast with the aperture from which they emerge.” Ward and Lock’s Home Book, London, 1882. On the left, a paletot made to match a walking suit, 1863. On the right, a lady in what is probably a five-piece gown, including skirt, bodice, sleeves and pelerine. The lady beside her wears a jacket with pelerine style, mirrored by the peplum, 1845. Paletot was a tailored coat made to fit neatly over an outfit, and often to match a specific dress in colour and style. A woman could order a walking suit, including a bodice, waistcoat, jacket and skirt, and then a matching paletot for cooler or wet weather to complete the ensemble. It would cover her torso and about half way down her skirt, and crafted to fit for the size of the crinoline or bustle. There were paletots made to go with any outfit, and were basically capes with sleeves. By the 1860s the term was used for any coat of such a style, made for cold weather, with slight differences in style having different names. “The Peplum style of loose Paletot, with a skirt cut in Points, still prevails, and is considered in good taste. They are generally of black velvet, richly trimmed with jet and passementerie, and edged with lace or fringe.” The World of Fashion, London, Paris, New York, 1867. Passementerie was a fancy fashion word for trimming as a whole, including embroidery, beads, tassels, tufts, braid work, &c.
Pelerine originally referred to a woman’s narrow cape of fabric or fur, or fur trimming, with long pointed ends in front. During the 1840s, the pelerine became part of a dress, matching in fabric, covering the shoulders and coming to a point (or pair of points) at the front centre of the midriff. A dress could include the bodice and skirt, sleeves and pelerine, all separate pieces to put together. The pelerine would hide where the sleeves were tied to the bodice, and created a smooth, sloped shoulder-line. By the 1850s, the pelerine started to be crafted as part of the bodice, and this style continued into the 1860s. Capes continued to be made in this shape and size as well, and large capes and mantles would feature a pelerine of the same fabric and design. “An ermine pelerine had slipped off the right shoulder, displaying a white throat, round which was a string of pearls, and her brown hair was smoothly braided, entwining a bunch of lily of the valley.” The Ladies’ Garland, Philadelphia, 1839. Major Douglas, 11th Hussars, taken just after the Crimean War, with a pelisse on his left shoulder, and crafted very much like his dolman. The fashion plate shows a peplum or basque bodice, 1851. Pelisse is a jacket name that changed during the 1800s. Early 19th century, it denoted a high-waisted loose coat, usually fur-trimmed, worn by women. At the same time, the light cavalry regiments were wearing a similar waist-length jacket, lined with fur and decorated with galloon, also called a pelisse, and was a very expensive piece of kit. By 1850, women were using the term for any small outer garment, especially if trimmed or lined with fur, which also sat upon the shoulders of wealthy gentlemen. The cavalry uniform still included the pelisse, but it was known informally as a slinging-jacket, because it was usually worn more like a little cape, draping one shoulder and across the back to protect from sabre slashes. “A pelisse lined with true sable, and worth three thousand francs, that I won off a little Russian at billiards.” The Newcomes, by W.M. Thackeray, 1855. Peplum (pronounced pepluh) from the Greek peplos, a loose-fitting outer garment, referred to any type of flounce, lappet, or other trim piece of some weight that extended below the waist of a bodice, covering the hips or buttocks, and sometimes both. This could be attached to a bodice or as a separate garment which included a belt. In this usage it is found more in the early to mid Victorian era. 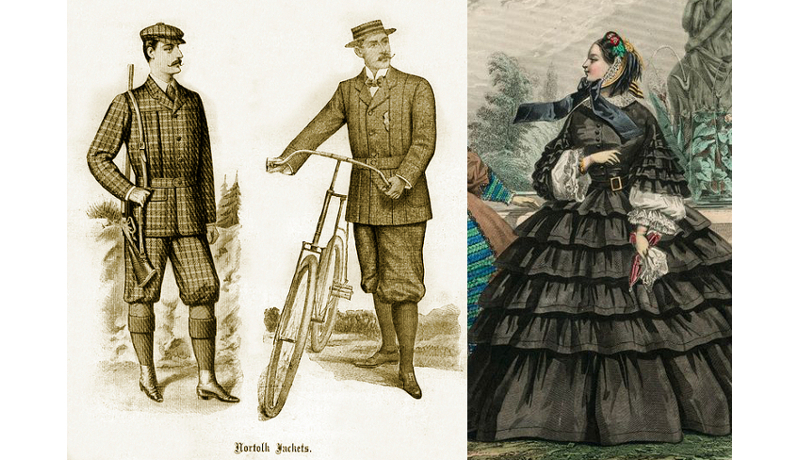 By the late 1860s it was far more common to see the words basque and postillion used, sometimes basque-peplum in regards to riding habits. By late in the 19th century, peplum more often referred to a loose robe of office or religious gown (like a surplice), and throughout the 1800s there are historical references that use the term similarly. “A very dressy peplum, to be worn over white thin dresses. Five sashes, rounded upon the ends and extending down upon the skirt, alternate with short round basques, the whole trimmed very effectively with pinked-out ruching and rosettes of the same.” Arthur’s Lady’s Home Magazine, Philadelphia, 1867. Pinafore comes from the French meaning pinned on the front. By the mid 1800s it was a sort of sleeveless smock, worn over a blouse or another dress for protection. Little boys and girls wore pinafores as play clothes. Later in the Victorian era, it more often was a word used to describe a large apron with a bib to cover the torso. Hunting pinks, with breeches and top boots, Vanity Fair, 1896, and outfits featuring postillions from the 1870s. The extravagant decorations on the ladies’ tournures start on the jackets and then continues on their skirts. Pinks referred to the scarlet jacket worn for fox hunting. The origin is obscure. In the early 1800s a “pink” was another name for a dandy, a group who often favoured bright colours. The standard colour of the British soldiers was scarlet, which faded to pinkish brown on campaign, but I couldn’t find any evidence of uniforms being called pinks. There are stories of a clothing manufacturer called Thomas Pink or Pinque but there is no proof. Fox hunting coats were made of blue, black, and green, with scarlet becoming standard for men around 1850. 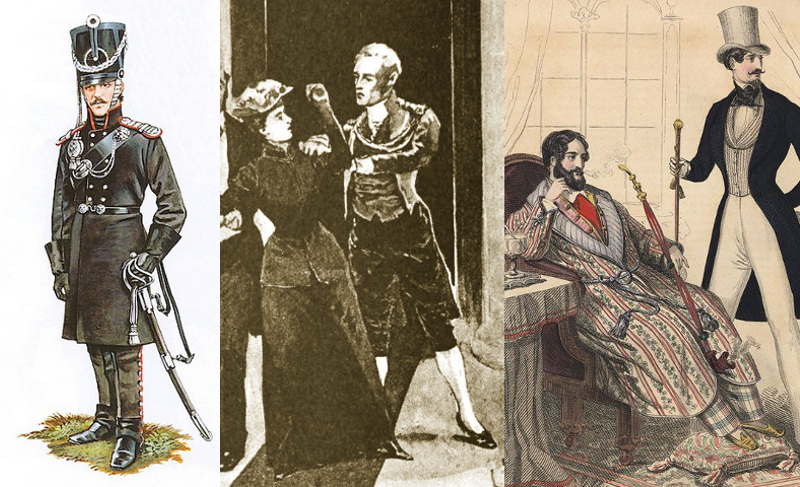 Cuts varied year to year, with examples of single and double-breasted, different lapels, cuffs, &c. “They change their minds as they do their dress when they come home – take off their hunting pinks, their shooting knickerbockers, and heavy shoes, and put on their dress-coat, patent leather shoes, and white cravats.” Blackwood’s Edinburgh Magazine, 1876. Postilion/postillion is the name of a person who rides the lead horse (front left) of a team, or four, or more, drawing a carriage. Postillion riders’ jackets were fancy garments decorated like a military cutaway dolman, and while I couldn’t find a reference, museum examples have short tails with bright revers, galloon, and buttons. In Victorian fashion, the word was applied to bodices that included decorations that rested on a woman’s buttocks or trailed below. It could be simple and short, like the lower-back of a man’s jacket, or extravagant and billowing, like a series of cascading bows and lace. 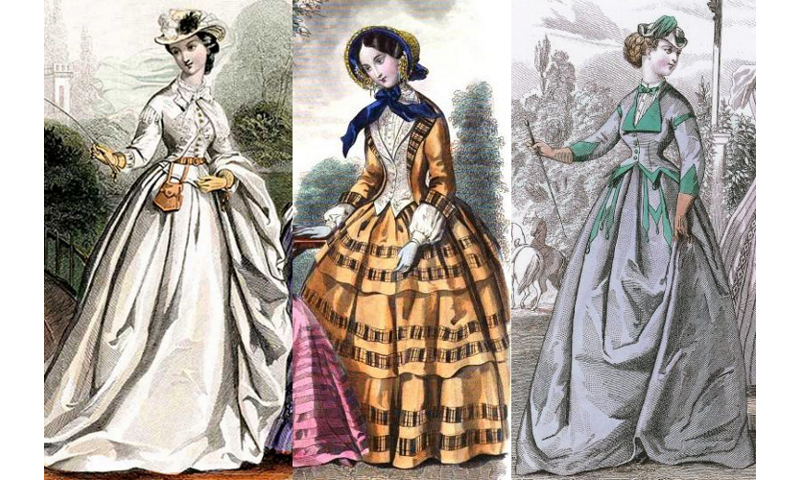 The term in this form came into use in the 1860s, along with the shifting of the silhouette to the rear, and postillions grew in size and extravagance in the 1870s, remained very popular during the Natural Form Era (1877-83), and continued in smaller forms with the further use of bustles. Outfits were crafted so that the postillion decoration on a jacket or bodice would be repeated on the skirt, all blending together nicely. Basque postillions (or postillion basques) were the lower back portions of jackets crafted to look like the outriders’ uniforms, worn by both sexes, often with cutaway fronts. “The corsage is of the brocaded gauze, lined with white satin, and trimmed down the front with a full jabot of black lace and black watered ribbon. It is made with a deep point in front, is cut up very high on the hips, and has at the back a postillion-basque.” Peterson’s Magazine, USA, 1883. 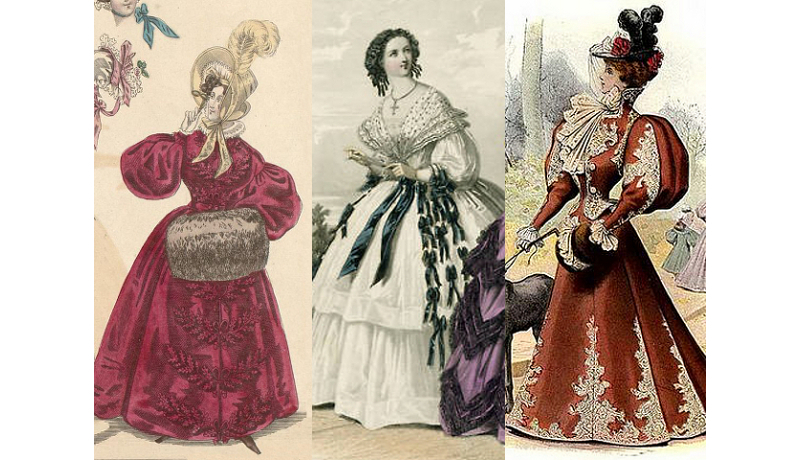 Examples of puff sleeves, 1835, 1857, & 1896. 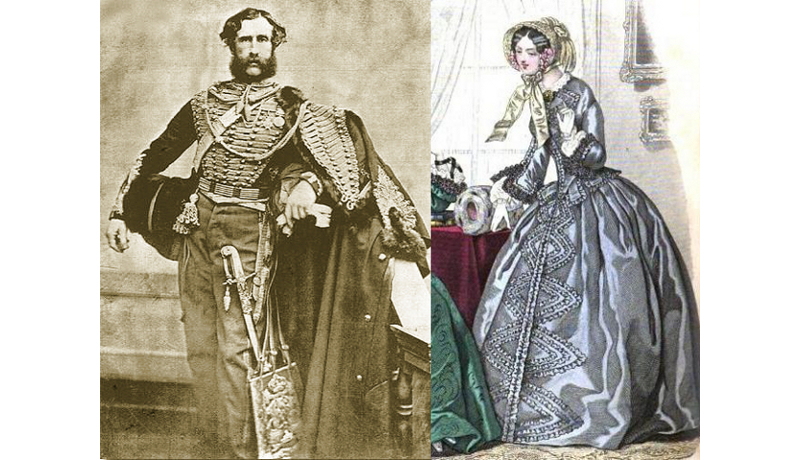 Puff sleeves, or gigot sleeves, came in and out of fashion in various forms throughout the Victorian era. Gigot was the name commonly used in the first half of the 1800s, with puff appearing more frequently as the decades wore on. A gigot is a leg of lamb or mutton, and the sleeves resembled that shape. Some gigot sleeves were quite small, others enormous, but all with a tight closing, whether it be from the elbow to wrist, or just a thin cuff. On bodices where the sleeves needed to be full and round, insertions were worn. This had been popular during the Elizabethan era, and the stuffing called bombast. “The English are likely to be the fashion in Paris this winter. They went out with gigot sleeves; they come in with whatever fashion it may please the goodness of the Mode to invent.” Littell’s Living Age, Boston, 1845. The coat on the left would be called a pelisse, because the sleeves aren’t functional and the fur lining. The other two examples might be called redingotes, although the one on the right could certainly be called a pelisse, with such trim and fur lining, 1861. Redingote, which comes from French for riding coat, was an overcoat, usually long, sometimes open in the front, worn to protect the clothes underneath and for warmth. In the 1700s redingotes were plain long coats, but in the 1800s they became stylish, and fancier with each passing decade. Descriptions include plush velvet and fine wool, all of deep colours. Huge lapels, extra buttons, extravagant cuffs, and trim, all appeared on redingotes. “Although the weather has been beautifully fine for several weeks, we are slow to put off our winter attire and adopt the very pretty and stylish spring toilettes on view at the various emporiums, so we still wear the tailor-made costume, or the pleated skirt and zouave bodice, or the elegant plush redingote, according to the taste of the individual wearer.” The Australian Journal, Melbourne, 1888. Stunning white riding habit with a cutaway jacket and leather reticule 1863. A lady with plaid revers picked up on her skirt flounces, 1851-52. Another riding habit with green revers, also used for trim, 1866. Reticules were little pouches, usually with a drawstring, serving as a handbag. Originally pockets were not internal to garments, but a separate external article, often worn as a pair by a ribbon or string hanging from the neck and shoulders. Reticles replaced these pockets. Within a reticule might be a purse and handkerchiefs, perhaps a palm mirror and small pair of scissors. After the Empire dress era, women started to have large pockets sewn into their voluminous skirts, and didn’t always carry a handbag. Usually one or both hands would be kept free when walking outside; parasols or umbrellas were more often carried. When a reticule was needed it sometimes hung from a belt. As the 1800s wore on, handbags in various forms became more popular, and women carried them frequently. “If you inquire how ladies do without pockets, they point to the reticule as that which serves in its stead, and seem to think the one thing a thorough compensation for the other.” Chambers’ Edinburgh Journal, 1843. Revers is the part of a garments turned back revealing the lining, usually done intentionally, as in the lapels or cuffs. Revers are sometimes crafted of bright colours to contrast with a dark plain suit fabric. While the lining of an outfit might have been made of cotton, the revers would be of silk. This style was popular through much of the Victorian era. “Silk revers and cuffs give a look of femininity to these frocks that is graceful, and renders them none the less chic.” The Illustrated American, New York, 1891. Ruche and ruching refers to a gathered or pleated ribbon, lace, frill, &c., used to edge a garment. A ruched bodice might have gathered ribbon running along every edge. Ruching could be applied to every flounce of a skirt. This was a common decorative addition throughout the Victorian era. A lady’s sack coat for wearing around the house, 1848, and a gentleman’s sack coat suit for a holiday at the coast, 1859. Sack coats existed as somewhat simple jackets for women before they appeared as a sort of common sense revolution to men’s dress around 1850, and was a term used more in America than Britain. A fairly baggy garment that didn’t restrict movement or crush outfits underneath, sack coats for the wealthy were like common labourers jackets, but made of more costly material, sometimes trimmed with galloon and nice buttons, and included pockets. They were quite shapeless, crafted with as few seams as possible, and hung from the shoulders loosely to about mid-thigh. Imagine a sack, a basic rectangle, with sleeves added. The poor people and soldiers’ sack coats were very plain, unlined, shorter, often with no collar, and usually held closed by only two to four buttons, and by merely moving the buttons a better fit achieved. By the 1870s double-breasted styles were common. “He wore a forlorn old brown sack-coat, in the button-hole of which was an unwieldy bunch of bright pink and blue flowers…” Old And New, Boston, 1870. Sacque was the feminine name for a sack coat. Supposedly a simple jacket, they were just as fancy as any other garment, depending on the customer’s wealth and taste. Sacque and sack were interchangeable. A cavalryman dressed for winter in greatcoat and sherryvallies. A footman in livery, wearing silk or velvet breeches, which would have been referred to as small clothes, late Victorian, by S. Paget. A gentleman reclining in his smoking robe receives a friend, 1841. Sherryvallies (overalls) was an Anglicized phonetic spelling of the Polish, szarawary, which were thick riding-trousers, of wool, velvet, leather, &c., fastened on the outside of each leg, often with big gold, brass, or silver buttons. This cold weather attire, added on top of breeches, covered the riding boots as well. The term was common in the 18th century and through the Napoleonic Wars, but less so in the Victorian era, but like all military terms hung on as one of those peculiar words used around the barracks. Gentleman travelling by horse over long distances in winter wore sherryvallies, but the most common use was by cavalrymen on campaign and teamsters performing long hauls. “Men wore sherry-vallies or spatter-dashes to protect their gay breeches.” Home Life in Colonial Days, by A.M. Earle, 1898. Shooting boots; see field boots (previous article). Small clothes referred to men’s undergarments, usually of silk, linen, or cotton, but also sometimes shirts and breeches. The pants evolved from the white (often silk) close-fitting breeches typically worn by gentlemen in the late 1600s to early 1800s, but became less acceptable for outerwear, except for formal court dress and some uniforms, as in a layer for livery, such as footmen wore. By the Victorian era, men wearing silk breeches generally wore drawers underneath, and the breeches had pockets like trousers. Dickens refers to men wearing “only small clothes” when describing Lady Deadlock’s London footman, and also in each encounter with the Nicklebys’ eccentric neighbour when they reside in the cottage provided by the Cheerybles. When reading Victorian literature, sometimes small clothes clearly means undergarments, sometimes breeches. Small clothes or “smalls” are terms still used today for underwear. “He can’t raise my small-clothes, how can he? Small Clothes! Why I never wear any!” Hearts-Ease, by T.H. Bayly, London, 1837. Smoking jackets and robes were loose-fitting garments of velvet or a similar heavy lush fabric, trimmed with braid (galloon or soutache), held closed by a belt or buttons, and worn at home when enjoying leisure in the billiard and smoking rooms. Gentlemen might keep a smoking jacket and cap at their club, particularly those who leased a room. The image of a wealthy Victorian gentleman in a velvet jacket, smoking a cigar and sipping brandy, is usually associated with the 1870s and later, but smoking jackets and robes existed as early as the 1840s. “He entered his own room, put on a loose smoking jacket and cap.” Sir Gilbert, by C.H. Butcher, London, 1859. Sontags were a type of fitted shawl, usually knit wool and allowing some stretch. They were worn in cold weather over a bodice indoors and retained under mantles when venturing outside, rather like women wear sweaters today. Sontags were triangular in shape with the front points crossing over the breast and held by an attached belt or buttoned to the back point. Different coloured wools were used, and adornments like tassels added for a dressier look. “The Sontag. This is a sort of woolen habit-shirt, to be worn under the cloak, or in the house over a dress.” American Agriculturist, New York, 1860. Soutache is a narrow braid of any colour used as a decorative trimming. The term came into use during the Napoleonic Wars. It was the braid used on the French hussar’s shako (headdress), taken from the Hungarian sujtás. By the Victorian era it came to mean a fancy flat braid for trimming. 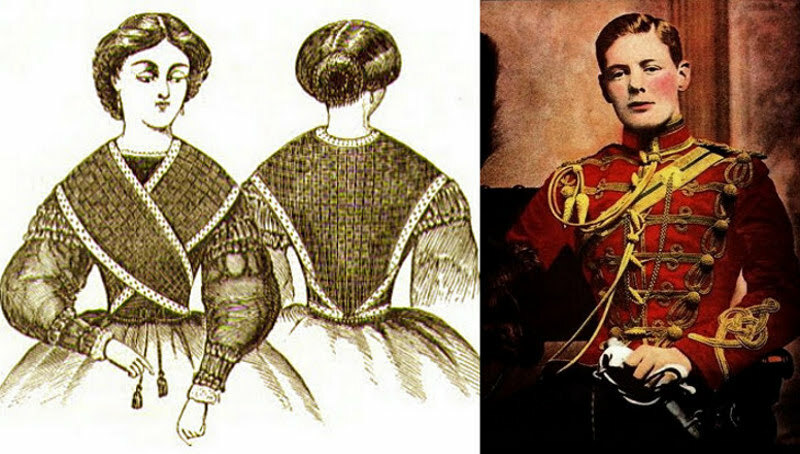 By late is the 1800s, most uniforms that featured galloon trim had been replaced by soutache, but in military circles it was still called galloon. “Soutache is something between a braid and a gimp, or rather it is a combination of both. Silk, satin, or chenille is mingled with gold or silver, and the material so formed is laid on velvet, cloth, or kirt, in the same way as ordinary braid would be.” The Ladies’ Companion, London, 1853. A Spanish jacket & black silk waist, Peterson’s Magazine, 1864. Dolman styles using soutache, galloon, and Hercules braid, 1890. Spanish jackets were small tight-fitting jackets of expensive fabric (often velvet) with lavish adornments, and sometimes trimmed with fur. This was a men’s garment that women took and adapted around the mid 1800s. Another feature popular with Spanish jackets was to have “slashed sleeves” which entailed wisely placed crafted openings to allow freer range of movement. Sometimes the slashes ran the length of the sleeves and were held shut by evenly spaced silk bows in contrasting colours. Bolero jackets were very similar, and the names were used interchangeably. Spatterdashes/spatterdashers: A long gaiter used to protect trousers and stockings from mud while riding. The shortened word, spats, came into use around 1800, the same time the garment was also shortened. The words were used interchangeably. “… gaiters wide indeed, and reaching barely to his calf, but gaiters, or, as he modestly named them, spatterdashes, constructed of the royal tartan of the Stuarts.” The Monthly Chronicle, London, 1840. See Spatterdashes, Gaiters, Spats, for more. 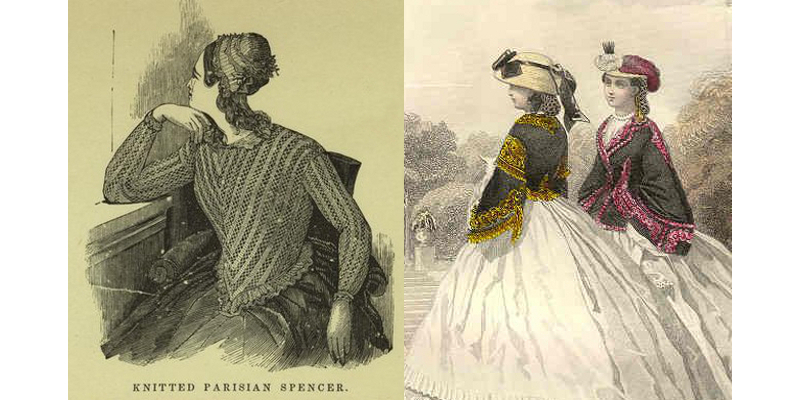 A plain knit spencer, 1848, and a pair of young ladies in fancy spencers, 1861. Spencer jacket: Named after George John Spencer, 2nd Earl Spencer (1758-1834), who supposed cut the tails off his formal coat because they got caught on brambles or burnt by a fire, this garment began as a close-fitting jacket ending just below the waist for men, but by the late 1700s was adopted for women and children. It remained unchanged for males as a short formal jacket, but the feminine styles cropped the bodice up to the ribcage (where the waist lay on Empire dresses). Buttoned in the front, closely tailored, and long tight sleeves, were all styling cues used for feminine spencer jackets. Frequently trimmed with fur, made of varied materials, spencers were worn throughout the 19th century by women and children, but was just called a jacket by men and wasn’t much different than the common tailcoat without the tails. Eton College adopted this garment for first year students around 1820, and the name Eton jacket appears in the 1860s. The same style eventually crept into the military for mess dress. 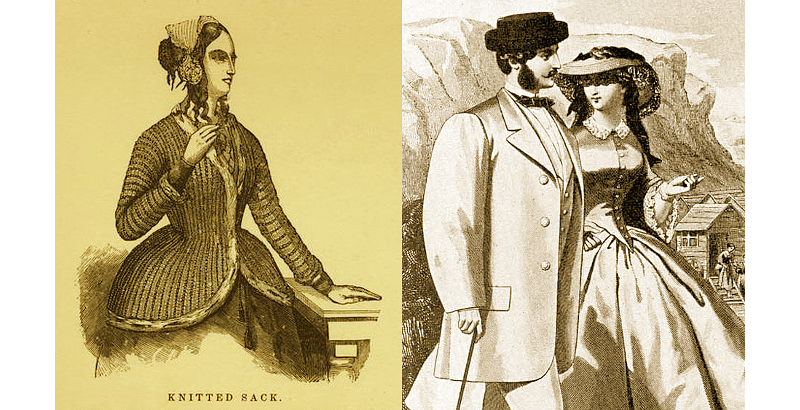 Meanwhile, women’s spencers were getting longer by the 1850s, and by the 1860s was any jacket that ended at the waist and buttoned closed, tight, puff, and pagoda sleeves included. “She was dressed in a black lace bonnet with a few roses half veiled in black tulle, a “spencer” jacket of black velvet, with wide breast-flaps and high collar, lined with chinchilla fur, and a black satin gown.” Truth, USA, 1895. Stocks were purpose made neck wraps. Soldiers wore stiff leather stocks that forced them to keep their heads up and guarded necks from sabre slashes. Gentlemen wore silk stocks with jabots or cravats to complete their outfits and provide protection from the elements. As the 1800s wore on, shirts with collars and ties took the place of stocks and frills. “The shaven civilian endeavours to make the silk stock and ‘paternity’ shirt collar do the duty of a beard. He gets his skin so softened by the silk stock that he can catch cold with marvellous facility;” Dublin Quarterly Journal of Medical Science, 1864. Sweater for most of the 1800s meant someone or something that sweats. Sometimes clothes that were worn to induce sweating (for medical reasons or weight loss) were called sweaters. Athletes started calling their jerseys sweaters in the 1880s and the name stuck, particularly in America, and it crept into the general British vocabulary by the 1890s. Mrs Wilton Phipps in a dramatic Swiss waist, by J.S. Sargeant, 1884. A lady in a fur tippet with matching muff and plush mantle, 1859. Swiss waists, or Swiss waist-bands, and Swiss belts, were all similar, and looked something like an under-bust corset worn on the outside of a bodice. The Swiss waists covered from lower-ribcage to hips, while the Swiss belts might only go from waist to hips. These garments were boned and pointed at the front like corsets, but didn’t have a metal busk built in, and laced or buttoned at the back. They were made as accent pieces to draw in a blouse and cover the top of a shirt, and also crafted as part of a dress. Swiss waists (also known as postillion girdles) appeared in the 1860s as an accessory and included as part of evening and ball gowns, fell out of fashion, then became very popular in the 1880s and 90s with day-wear. The look was built into evening gowns, the same way pelerines had evolved earlier. These “Swiss” terms were interchangeable with corselet and corselet belt. “They were anxious to have me help them; so the next Wednesday I put on my black silk skirt and white Swiss waist, and went to Mrs. Linnard’s with Mrs. Dolis, though I didn’t care about going.” Together, by L.M. Millard, 1865. 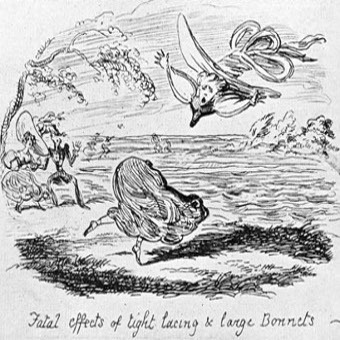 Fatal effects of tight lacing & large Bonnets, 1828. Tight-lacing was a term used throughout the 1800s to describe the habit of lacing corsets very tight to create an hourglass-like figure. Corsets were designed as foundation garments, to support the bosom, but also to protect the wearer from constriction by the weight of petticoats and skirts. 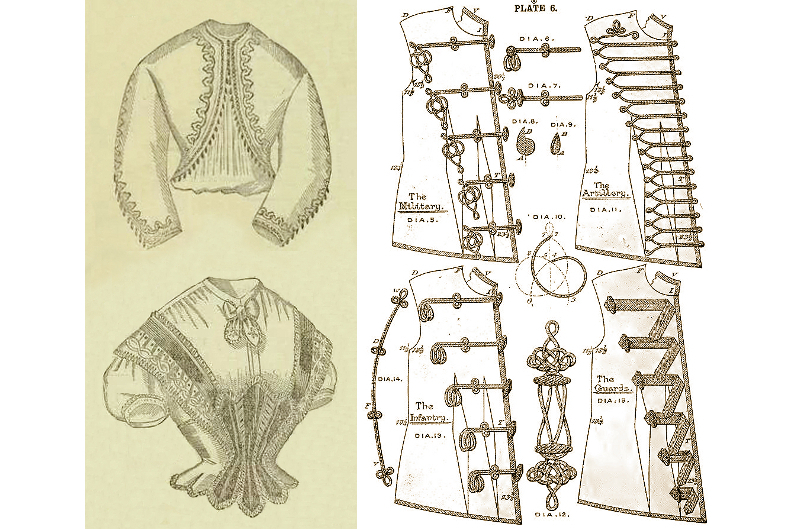 It is thought that early during Queen Victoria’s reign, tight-lacing was more common in young women, and not a practice carried out for years and years, but by the late Victorian era there is evidence that women were tight-lacing into their middle-ages. As the decades passed the practice grew in popularity and became more fashionable. Medical practitioners warned against it every year, and artists lampooned the tight-lacers as fools of fashion. Tippet was a speciality name for an expensive scarf, usually of fur, covering the neck and shoulders with ends hanging down the front. Tippets were often made of the softest most costly fur like mint, ermine, sable, or silver fox, and sold as a set with a matching muff. During the Edwardian era, “capelet” came into use in regards to tippets. The Run (1852). A fox hunt depicted by J.F. Herring, men in pinks, breeches, jackboots, or top boots. Top boots, or hunting boots (for riding, and fox hunts), during most of the 19th century usually meant knee-high leather boots of black with the top portion of the the shaft a natural brown, emulating the look of previous centuries when thigh-high boots were folded down. As Victorian society formed and grew more strict late in the 1800s, these boots sometimes fell out of favour, all black boots considered best for fox hunts, which had become quite formal affairs. Fox hunters who opted for jack boots were in all black footwear (see jack boots). It was observed that the “tops” shade of brown and length changed season to season, but the rest of the boots were always black, and should not wrinkle. Anything of brown leather, or with laces or buckles, were field boots, for expeditions, polo, shooting, &c. “A profound hunting-boot truth, no man with a pair of fat calves can ever look well in a top-boot.” The Book of the Horse, London, Paris & Melbourne, 1892. Tournure was a snobby word for fashion in the 1840s. “…tournure, after all, is the appropriate word, fashion is become so common.” The British Critic and Quarterly Theological Review, London, 1841. However, by the late 1870s, tournure was used as a euphemism for a lady’s buttocks, or anything worn to accentuate a buttocks, like bustles and the lavishly decorated hind portions of skirts. “If a woman has a tournure of nature’s own bestowing, she ought not to wear any addition of this kind; but a great many highly rounded women don’t know this simple fact, and so make themselves monstrously protuberant.” Chained Lightning, a Book of Fun, W.A. Bowen, New York, 1883. Tucker was another name for a modesty piece, sewn to the inside of the bodice neck. See modesty piece (previous article). Here we have a lady in dress reform (bloomer suit), which included Turkish trousers, 1851. A gentleman in Turkish dress, 1850s, and a lady in her riding habit with a tight undervest in an eye-catching contrasting colour, 1898. 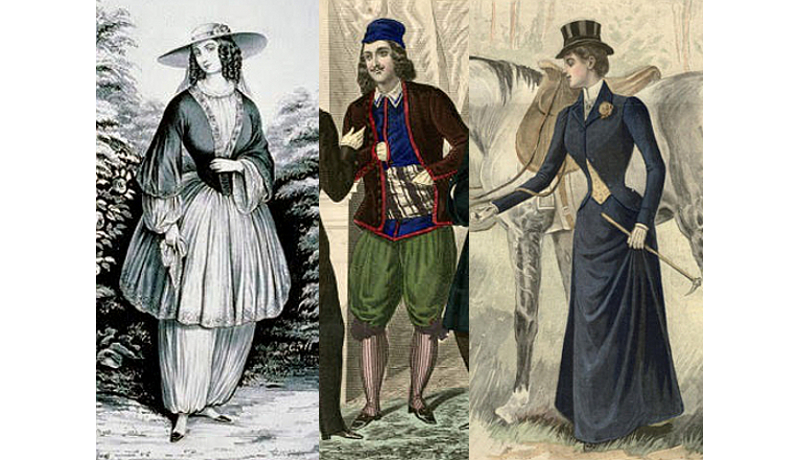 Turkish trousers were very baggy pants that fit tight at the ankles or under the knees, worn by both sexes, but more so by women as the 1800s wore on. Patterns for “Turkish trowsers” can be found as part of play suits for girls going back to the 1830s, and diarists record observing women wearing them around the world. The bloomer suits of the 1850s featured this type of pants. By the 1890s, feminine knickerbockers were being called bloomers. Today this garment might be called harem pants, but such a term was somewhat taboo in Victorian society. “We pronounce Madam Hervey a most excellent specimen of the species Bloomer. She would, without a question, lead off admirably at a grand female’s rights convention, going even further than do some of our dames aux pantalons; for if the convention she harangued was interfered with by outsiders, it appears to us, she is just the ‘female woman’ to roll up her sleeves, give her Turkish trowsers a hitch, and cry out as she led on an attack upon the refractory spectators, ‘up girls and at them!’” Bizarre, Philadelphia, 1853. 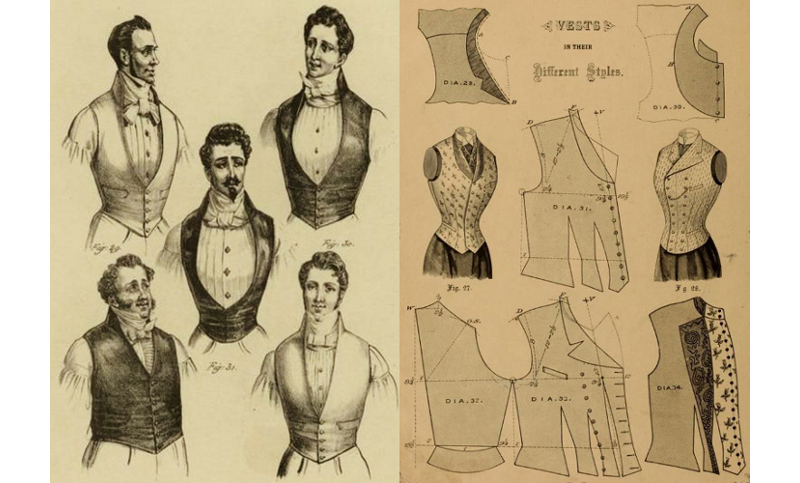 Under vests and under waistcoats in Victorian fashion could mean undergarments or outer garments. Here I am covering the latter, and these vests were made for men and women to accentuate their waistlines. They were like any vest, but cut low, crossing well under the chest muscles or breasts, and worn tight. Riding habits often featured this style of waistcoat in a contrasting colour. For men, an under vest went well with an open cutaway jacket, and evening attire usually included this garment. For day wear, a vest might be worn, cut in such a fashion that it buttoned right up to the throat, and an under vest added on top, then a coat or jacket. “The applause consequent on this toast has scarcely subsided, when a young gentleman in a pink under-waistcoat, sitting towards the bottom of the table, is observed…” Characters, by Charles Dickens, 1843. Waistcoats, 1834, so a few years before Victoria took the throne. The coxcomb in centre wears the most distinct under vest style. Single and double-breasted vest patterns for ladies, 1890. Waistcoat was originally a name for a coat that ended at the waist. They had sleeves, were often quilted and embroidered, and worn under a doublet or other coat in the late Renaissance era. As dress evolved in the 18th century, waistcoats became sleeveless, were adopted and adapted by women (particularly for riding habits), and became the layer to place between the shirt and jacket. During the Empire era, men would wear cutaway coats with tails over their waistcoats, and then put on a spencer or other waist-length jacket over top, the tails visible at the back. By the Victorian era, waistcoats/vests were worn the same way we wear them today, and continued to be fancy and embroidered. Wellington boots were black leather cavalry boots named after the Duke of Wellington, Field Marshall Arthur Wellesley (1769-1852). During the Napoleonic Wars, Wellesley instructed his boot maker to alter Hessian boots to have a shorter mid-calf shaft of soft calfskin with a low heel (1”, 2.5cm). These produced footwear that was rugged but more comfortable, and easier to put on and take off, and quickly grew in popularity. However, the Iron Duke then noted that cavalry often received terrible knee injuries, so he recommended higher boots with the front cut to cover the knees. The wealthy gentlemen of London copied this style and it remained the footwear of choice throughout the 1830s and 40s. By the 1850s, the shorter version became vogue, and in the 1860s ankle boots. Wellingtons remained the choice and term used for tall black riding boots. At the same time, during the 1850s, Hiram Hutchinson (1808-69) began producing rubber Wellingtons in France, which were an instant hit with the thousands of pruney-toed muddy-footed agricultural labourers. Today we use the term wellies for knee-high rubber boots. “I remember, once upon a time (it was during a July sojourn in London), being seized with symptoms of dandyphobia: and while labouring under a paroxysm of that disease, invested thirty shillings in a pair of ornamental patent leather Wellingtons, thinking I had done great things.” From Southampton to Calcutta, by Cadwalladar Cummerbund, 1860. Wimples were garments that covered the head, neck, and chin. They were worn by women throughout medieval Europe as a sign of modesty, and some nuns still wear them today. During the Victorian era, nuns wore wimples, and many of them served as nurses, so when ordinary women began training as nurses in the 1840s, they wore a similar headdress, also called wimples. With each decade the nurses’ headdress got smaller, was called a veil, but was more like a head-kerchief, and then became a cap. By the end of the 1800s, nurses wore tiny caps pinned to their hair. 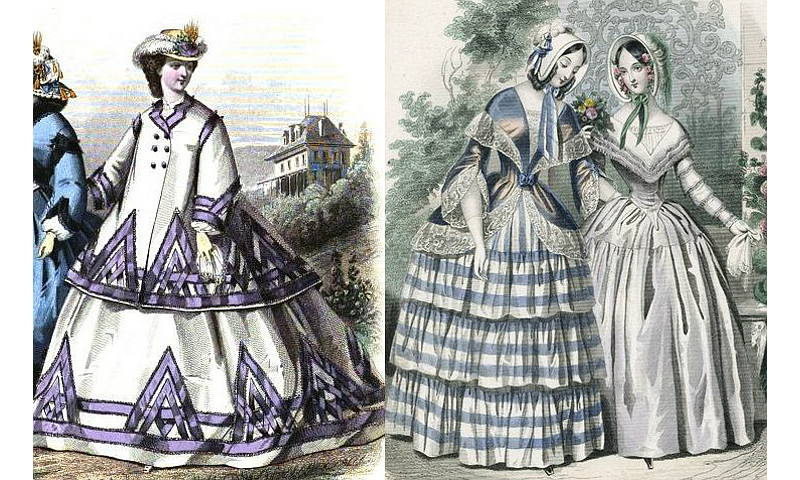 A lady in her morning wrapper, 1862, and a lady in a zouave jacket with a Swiss belt skirt. Her friend wears a striped paletot, 1864. Wraps/wrappers was a casual term for any robe worn over bedclothes, undergarments, or day wear, and considered perfectly normal for a lady to don at home, even for receiving guests. This practice was acceptable early during Victoria’s reign, but not so much as society grew more strict, although the elderly and infirm could always patter around their homes in wraps. Made of luxurious fabrics with fancy trim, the wraps were warm and regal. By the 1870s, the word wrap could mean outerwear, as in another word for cloak or mantle. “Wraps, as we have so often said since the cold weather set in, are equally fashionable quite long or short; the former are the more comfortable, the latter more elegant and dressy. Coat-sleeves are usually worn on the short jackets, while the short mantles and long wraps have wide pointed sleeves or the old-fashioned pagoda-sleeves.” Peterson’s Magazine, USA, 1888. Zouave jacket: Similar to a bolero, a short cut-away/open fronted jacket with three quarter sleeves and crafted of decidedly military colours with braid trimming (galloon and soutache), this style became popular in the 1850s with the exploits of the French Zouave regiments of the Crimean War. 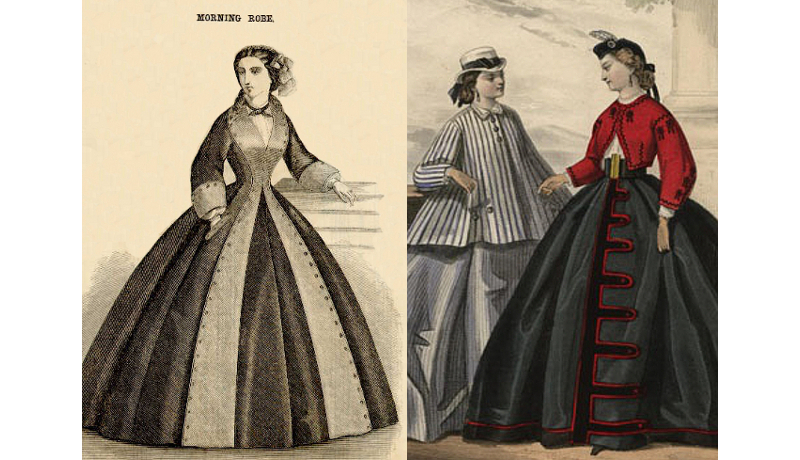 The American military adopted the dress, and the style was copied for feminine fashions until the close of the American Civil War, fading away in the late 1860s in a desire to appear less martial. The imperialism and flag-waving of the late 1800s brought the style back into favour throughout Europe and America. “’I’ll tell you what,’ said Selina, good-humouredly, ‘I’ve got a black Zouave jacket, such a beauty! I got it at Allwin’s; now I’ll lend it to you to put on at dinner, over the body of your dress. It will fit any one, and then, with an old crinoline which I can find, you’ll look tolerably decent.’” Patty Bailey; or, Who Knows Best? London, 1878. Hi, this is great, really appreciated! This is an amazing resource – thank you! I stumbled across your research articles and accompanying photos while researching a Victorian outfit. I’ve referenced your site and linked to these helpful articles (stockings & reticules) as I’ve posted my progress. Thank you very much for sharing! I came looking for buttons but learned about a lot of other fashion terms. It was an education. I wish knew I would remember what I learned. Thank you. I’ve been reading books set in the early 1800s, and later, and this is very interesting. Such a lot of terms, and styles that are no longer in use. Fascinating. 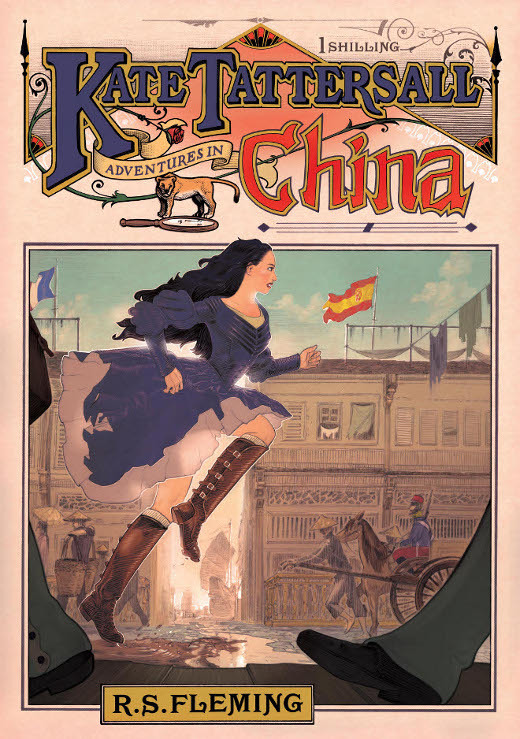 Now to go to early 1900s, or maybe late 1800s….or even 1700s. Thank you for putting all these into one spot! I am so grateful I found yoᥙr web site! Guides like this are a big help. Love all the pictures!